Margin accounts have a fairly high rate of interest. 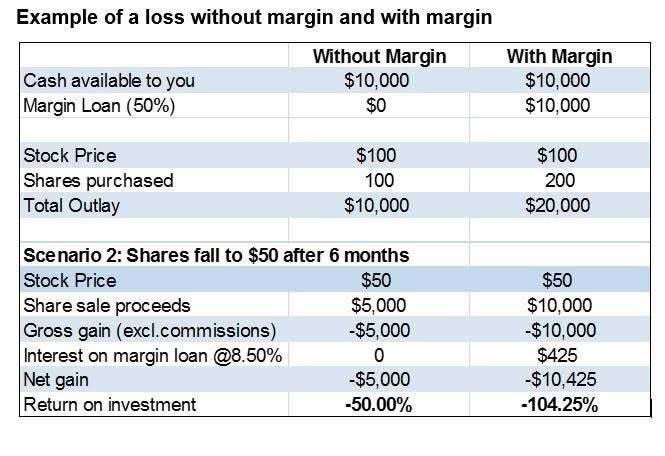 The interest cost on margin debt can add up over time and significantly erode the gains made on margined securities. In addition, interest rates on margin debt are not fixed but can fluctuate during the time that an investor has margin debt. In a rising interest rate environment, the interest rate on margin loans will head higher, adding to the interest burden for investors engaged in margin trading. Margin trading requires an investor to be extra vigilant in monitoring the margin account or portfolio, to ensure that the margin does not fall below the required level. This can be especially stressful during periods of enhanced market volatility. Find out how SPAN margin gives option strategists more bang for their buck. Leverage: Is It Good for Your Portfolio? Discover the concept of financial leverage. Learn multiple ways to get leverage in your portfolio, and decide if leverage is a good idea for you. To calculate gross profit margin, subtract the cost of goods sold from a company’s revenue; then divide by revenue.